According to advertising legend David Ogilvy, the use of stock photos can either increase or decrease readership based on four factors – caption, placement, margin and relevance. If used correctly, they can add value to a website and improve user’s experience. They can hold useful information that makes it difficult for users to overlook them. 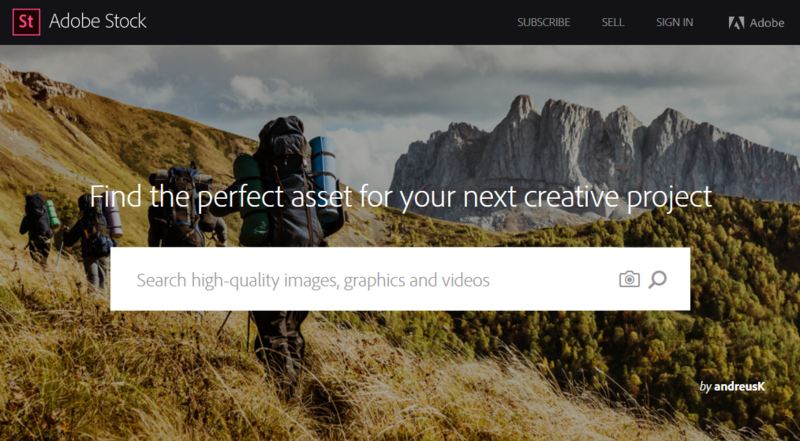 Adobe Stock helps you achieve that by providing gorgeous, high-quality and cheap stock photos. By using Adobe Stock and living by Ogilvy’s insight, I have transformed my websites from ugly and amateurish to sophisticated and professional. I’ve reinvented my old websites to modern ones. From cute cartoons to high-quality photos, I’ve created breathtaking designs that make all my time and effort worth it. Making images and photos a part of my business and content marketing tactics have provided significant results. It enhanced my websites in so many ways. How did stock photos improve my sites? Find out! All my websites now look good. People like eye-candy. They crave for it. They are more likely to browse around websites that are effectively-designed with images. Of course, I make sure that the stock photos I use are relevant to my content to eliminate unrelated visual noise and promote effective visual communication. I’ve gained more readers. Yes, my websites have greater conversion now that I am using Adobe Stock photos. Images are attention-grabbing. They give a boost to your content’s page views. As I’ve said, as long as they are relevant to your content, they will keep your new visitors from hitting the back button. I’ve gained more customers. My websites range from blogs to ecommerce. Through images, my websites have impressed potential customers and turned them into buyers. Eye-catching websites make visitors more likely to buy. In fact, 60% of consumers say that the quality of photos and images play an important part in choosing and buying a product. High-quality images are hip and modern. Whether we admit it or not, people love hip and modern. They trust these kinds of companies. And with Adobe Stock, my websites achieved that. So, now I get more visitors and sales. Adobe Stock provides me with loads of high-quality images that convey the value proposition of my websites. It teases my readers with story appeal. My articles now get up to 94% more total views. Engagement rates in my social networking sites such as Facebook and Twitter are also higher. Facebook is an important part of my social media marketing strategy and I never fail to include images in my updates. How about you? Are you also using cheap stock photos to improve your websites? What stock photo agency are you subscribed to? Has it worked for you? I suggest that you also improve your websites with Adobe Stock photos. If you have an online store, expect higher engagement rates and sales. If you issue press releases, expect an increase in online views. I look forward to hearing your own stock photo story.